Many different variables work together to shape cap rates, and in this post, we’ll take a closer look at 4 of the main determining factors that are currently impacting triple net lease cap rates. 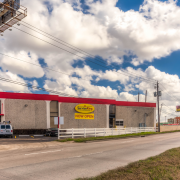 Strong cap rates signify investment return potential so a convenience store, in a high-growth area with an ideal corner location with good traffic and established businesses in proximity, will likely have a higher cap rate than a property with less ideal location markers. In areas such as these, cap rates on net leases are going at a premium rate, which can vary based upon the exact location. Strong cap rates are especially beneficial to investors selling NNN properties, but it’s important these listings go to brokers who know how to navigate premium cap rates and balance them with pricing that will attract offers to the property at the same time. 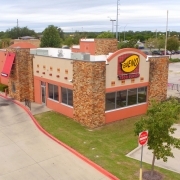 A triple net lease property in a smaller market that services many people in that community can also be marked by a high cap rate. These types of investments are typically solid in the long-term and will continue to perform well despite economical shifts or market changes. However, the same cap rate might mean different things depending on the location, so deciphering the earning potential can be somewhat difficult at times unless you have expertise and carefully monitor the market. 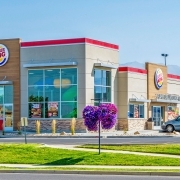 Working with a net lease advisor can be highly advantageous in helping you understand what cap rates actually mean to you and your investment goals. Cap rates are just a numeric estimation of profit earning, but knowing the market trends will help you fully realize the potential in an investment. 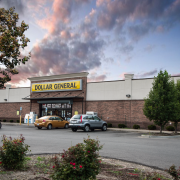 Cap rates are working to the advantages of 1031 Exchange Buyers who are looking to move into net lease properties as secure investment assets. 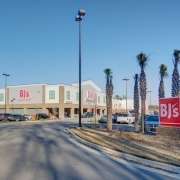 We’re seeing a trend of large investors in peak markets like those in California, Texas, New York and Florida selling apartment complexes, then investing in net lease locations with substantial income gains thanks to varying cap rates between the two investment types. 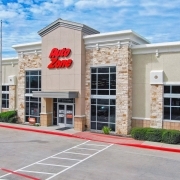 For example, one of our clients recently sold their apartment complex at 3% cap rate and then invested in a net lease location at 5.25%, nearly doubling their income in that one transaction. 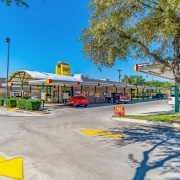 Sands Investment Group is the fastest growing net lease investment company in America, with over 1,700 transactions in 48 states (to the tune of $4 Billion) since 2010. 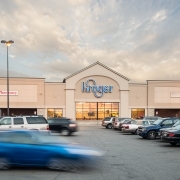 Our company is comprised of distinguished experts in the space who fully understand the advantages of net lease real estate and can advise you on how your net lease deals should be structured (as well as help you navigate cap rates and what they). Our client-focused approach, extensive connections and marketing expertise are just a few of the ways we’re leading the net lease industry. Want to learn more? Get in touch with an expert today by calling 844.4.SIG.NNN or sending us an email at info@SIGnnn.com.